The trend of jurors asking questions while a trial is going on is becoming more popular in courtrooms across the country. There are some states that now require it by law, including Arizona, Colorado, and Indiana. Many times highly technical testimony may alienate the average juror to the point where they stop paying attention and begin faking that they understand what is being said. Because of this, lawyers have become more reluctant to take cases where they risk verdicts that are derived from uninformed and bored jurors who do not understand the applicable laws. Experimentation has been done to gauge the effectiveness of permitting jurors to ask questions during trial. An example was in the "CEATS Inc. v. Continental Airlines" trial. Chief Judge Leonard Davis asked jurors to write down questions that they had after each witness testified. Out of earshot of the jury, the lawyers and judge then reviewed each question, which did not identify which jury member asked it. The judge, with attorney input, selected the questions to ask and informed the jurors that the selected questions were decided by him, not the lawyers, to avoid a juror getting insulted or holding a grudge because their question was not selected. The attorneys could then expound on the questions, but were specifically asked not to include the jurors' questions during their closing arguments. One of the major concerns of allowing jurors to ask questions was the amount of time it would take to review, select, and answer the questions. According to Alison K. Bennett, MS, in the article "Eastern District of Texas Experiments with Jurors' Questions During Trial," Judge Davis said that the additional time added about 15 minutes to the testimony of each witness. He also said that the jurors appeared more engaged and invested in the proceedings and that the questions asked showed a level of sophistication and understanding from the jury that was encouraging. 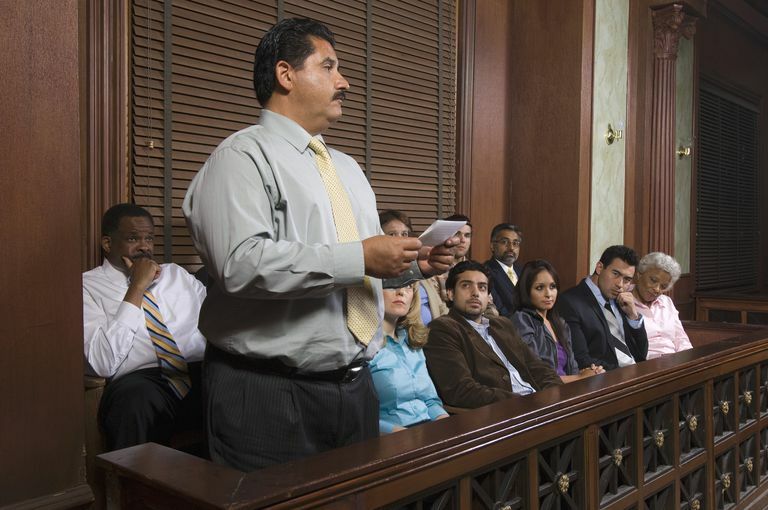 Most jurors want to render a fair verdict based on their understanding of the testimony. If jurors are unable to obtain all the information that they need to make that decision, they may become frustrated with the process and ignore the evidence and testimony that they could not decipher. By becoming active participants in the courtroom, jurors get a more in-depth understanding of courtroom procedures, are less likely to misunderstand the facts of a case and develop a clearer perspective on which laws apply or do not apply to the case. Jurors questions can also help lawyers get a feel for what they are thinking and can influence how lawyers continue to present their cases. It is also a good tool to reference when preparing for future cases. A juror who wants to display their superior understanding of the case or one that talks too much could become taxing and annoying to other jurors as well as add unnecessary time to the trial proceedings. It also puts lawyers and judges at risk if they display signs of fatigue or annoyance with trying to control someone with these characteristics. The fallout could result in the juror feeling alienated and resentful which could have a harmful effect on jury deliberations. A question could be asked that jurors feel essential, but in reality, has little legal significance to the outcome of the trial. Such a question could end up carrying too much weight when jurors begin their deliberations. There is also a risk that the questions not asked by a jury could imply that they do not understand the evidence being presented or realize the significance of the evidence presented. Alternatively, it may mean that they do not have additional questions because they completely understand what has been presented. This could put lawyers at a disadvantage. If the jury does not understand the evidence enough to ask questions, a lawyer may change their strategy and spend more time with testimony that helps explain the evidence. However, if the jury does have a full understanding of the evidence, additional time spent on the same information could be viewed as repetitive and boring and the lawyer risks being audibly muted by jurors. The risk of a witness answering a juror's question that has been rendered inadmissible. Jurors may take the position of being an adversary of a witness rather than being interested in all of the facts of the case. Jurors may rate the importance of testimony if a judge does not elect to ask a witness a juror's question. They may feel it is not important testimony because it was not worthy of additional time spent to review it. A question may be allowed by a judge by mistake and become the reason the verdict is later appealed. Lawyers fear losing control over their case and trial strategy, especially if a question is asked by a juror that lawyers have purposely avoided mentioning during a trial. There is a concern that jurors with questions may decide on their verdict too early. Most of the problems that could develop from jurors asking questions can be controlled by a strong judge, through careful review of the questions and through using a proactive process through which jurors can submit questions. If the judge is reading the questions, and not the jurors, a garrulous juror can then be controlled. Questions that do not have significant importance to the overall outcome of the trial can be skipped. Questions that appear to appear bias or are argumentative can be reworded or discarded. However, it does give the judge an opportunity to review the importance to jurors of remaining impartial until the trial is over. Professor Nancy Marder, director of IIT Chicago-Kent's Jury Center and author of the book "The Jury Process," researched the effectiveness of juror questions and determined that the justice is fully served when a jury is informed and understands all the mechanisms that go into their role as juror, including testimony given, evidence shown and how laws should or should not be applied. She goes on to emphasize that judges and lawyers can benefit by taking a more "jury-centric" approach to court proceedings, which means considering questions that jurors may have through the jurors perspective rather through their own. By doing so will improve the performance of the jury as a whole. It can also enable a jury to remain present and focused on what is going on, rather than have them obsess on an unanswered question. Unanswered questions could promote a feeling of apathy towards the remainder of the trial if they fear that they have failed to understand important testimony. In Marder's article, "Answering Jurors' Questions: Next Steps in Illinois," she looks at the pros and cons of several examples of what can happen when jurors are permitted or legally bound to ask questions, and one major point that she mentions is in regards to the dynamics that occur among a jury. She discusses how within groups of jurors there is a tendency for those who failed to understand testimony to look to other jurors who they deem as being better informed. That person ultimately becomes an authority figure in the room. Often their opinions carry more weight and will have more influence over what the jurors decide.